Maryland is known as “America in Miniature” due to the variety of its landscape. But no matter where they live, residents of the state love their inground pools – and the state’s moderate climate gives Marylanders plenty of opportunities to swim. Due to its unique geography, Maryland tends to have long summers, mild winters, and overall a surprisingly hospitable climate for inground swimming pools. Depending on the extended weather forecast and your tolerance for cold, you could open the pool in May and not close until sometime in October. The number of days you can swim each year in Maryland is pretty generous, but you can extend it further with a pool heater. 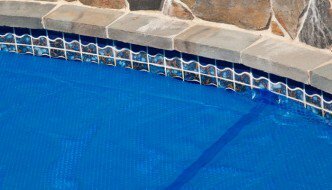 Better yet, combine it with a solar pool cover to save money on electric bills while keeping your pool water at a comfortable temperature. Construction labor costs are just a tick higher than the national average in Maryland. Overall, the cost of installing an inground swimming pool is moderate as compared to other states. If you need to save money, you can find lots of tips on this site and others. If you’re up to the task, you could consider forgoing a builder entirely and doing the job yourself, possibly with the help of an inground pool kit. Otherwise, there are many fine pool companies in Maryland to choose from. Whether you live in Baltimore, Annapolis, or some other community, you will need to apply for a permit to build your new swimming pool. The process may differ slightly depending on where you are. If you hire a professional pool company to build your pool, they should be able to help you sort through the details. Check with your local municipal government to find out all applicable pool safety laws. At a minimum, you will likely need a fence that completely surrounds the pool. However, there may be other requirements as well, and local laws often change – so make sure you understand what is required.